From bestselling author and neuroscientist Lisa Genova—whose novel Still Alice is now an Academy Award-winning film starring Julianne Moore—comes a novel about autism, friendship, and unconditional love. Look for Lisa Genova's latest novel, Every Note Played, available now. In an insightful, deeply human story reminiscent of The Curious Incident of the Dog in the Night-Time, Daniel Isn’t Talking, and The Reason I Jump, Lisa Genova offers a unique perspective in fiction—the extraordinary voice of Anthony, a nonverbal boy with autism. Anthony reveals a neurologically plausible peek inside the mind of autism, why he hates pronouns, why he loves swinging and the number three, how he experiences routine, joy, and love. In this powerfully unforgettable story, Anthony teaches two women about the power of friendship and helps them to discover the universal truths that connect us all. This reading group guide for Love Anthony includes an introduction, discussion questions, ideas for enhancing your book club, and a Q&A with author Lisa Genova. The suggested questions are intended to help your reading group find new and interesting angles and topics for your discussion. We hope that these ideas will enrich your conversation and increase your enjoyment of the book. 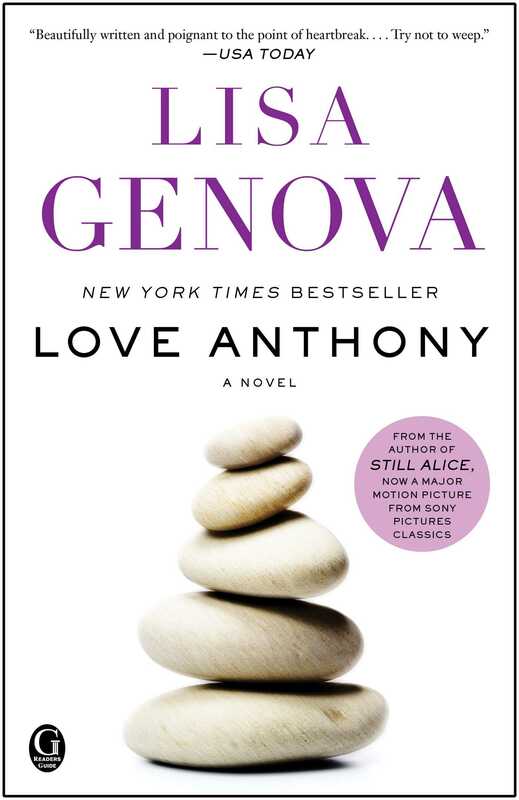 Love Anthony is the latest novel from the award-winning, New York Times bestselling author of Still Alice and Left Neglected, about an accidental friendship forged between two women on a Nantucket beach; a friendship that provides peace to one, validation to the other. Olivia is a thirty-something mother whose eight-year-old, nonverbal autistic son has recently died. With her marriage badly strained by years of stress, she has come to the island recently separated, trying to understand the purpose of her son’s short life. Beth, a stay-at-home mother of three already living on Nantucket, is also recently separated after discovering her husband's infidelity. In an attempt to recapture a sense of her long-lost independence, she rekindles her passion for writing, determined to discover her identity again. But surprisingly, as she uncovers her own voice, Beth also finds herself channeling the voice of an unknown boy, a voice that will give both women the comfort and answers they need. 1. How much did you know about this condition before starting Love Anthony? Do you know anyone who has autism or an autistic person in their family? 2. What significance does the setting of Nantucket play in this story? Would the story have been different if it had taken place in New York City or Chicago? 3. Beth pulls a box out of her attic, filled with remnants from her old life, and is reminded of the woman she once was. If you were to go through a box from your attic, what items might you find? 4. On the subject of marriage and fidelity, Beth’s friend Courtney muses: “You’re always at the mercy of the people you’re in a relationship with, right?” (p. 171) Do you agree? What do you think of the advice she offers Beth? 5. Do you think the author accurately captured the voice of a young autistic boy in the Anthony chapters? Did these sections enhance Beth’s story for you? What about Olivia’s journal entries? 6. After receiving David’s letter about his impending engagement, Olivia ponders the concept of happiness: “He’s right. I forgot about happiness. At first, it wasn’t a priority. Anthony had autism, and every ounce of energy went into saving him. Her happiness was irrelevant….And then, just when she was starting to realize that happiness and autism could co-exist in the same room, in the same sentence, in her heart, Anthony died, and happiness was no longer a concept she could fathom.” (p. 283) Do you think happiness is a conscious choice? Do you find it telling that Olivia uses the phrase “saving him” in reference to Anthony and his autism? 7. Toward the end of the story, Olivia has an epiphany when she realizes that “There was more to Anthony’s life than his death. And there was more to Anthony than his autism.” (p. 283) What do you think finally enables Olivia to have this realization? Was it a singular event or a process? 8. When Jimmy and Beth share their homework assignments given to them by Dr. Campbell, were you surprised by Beth’s initial reaction? Why is forgiving Jimmy the one thing Beth can’t do? 9. After reading Beth’s novel, Olivia is convinced Anthony is speaking to her through Beth. Skeptical, Beth discusses the idea with the more spiritual Petra, who feels “we’re all connected, even if we don’t know how. Maybe communicating through you gives you the something you need in this lifetime.” (p. 308) Do you agree or disagree with Petra? 10. Through writing her book, Beth realizes “this story was more about Anthony the boy than Anthony the boy with autism… she was simply writing about Anthony, a boy worthy of happiness and safety, of feeling wanted and loved. Just like her. The more she wrote about Anthony, the more she realized that she was actually writing about herself.” (p. 331) How so? 11. Beth ultimately decides the lesson of her book is “Find someone to love and love without condition.” (p.332) Do you think this could also apply as an overall theme for Love Anthony? Can you find any others? 12. Which character did you relate to the most and why? Where do you see these characters in five years? 13. What do you think of Beth’s epilogue? Do you think it provides a satisfying ending to her story? To the novel as a whole? 14. Another recurring theme of Love Anthony is faith – having faith, losing faith, and taking a leap of faith. Can you remember a time in your own life when you took a leap of faith? 1. Visit the website http://www.autismspeaks.org to learn more about autism and different fundraising or awareness-raising events your book club can participate in. 1. You have said that Oliver Sacks, along with your grandmother’s struggle with Alzheimer’s inspired you to pen Still Alice. Was there a particular person in mind when you started Love Anthony? This book began with Anthony, a boy with autism who doesn’t speak, inspired by my cousin’s beautiful autistic son, Anthony. My cousin and I are close, and my oldest daughter and Anthony are the same age. We spent much of their baby and early childhood years together. So, as with Still Alice, this story sprang from a deeply personal place. 2. What kind of research did you undertake for this novel? I did a lot of research on autism for this novel. I read as many books, blogs, and research articles as I could both before and while I was writing Love Anthony—from fiction to memoir to clinical texts. A list of the books I read can be found at my website. I interviewed physicians, behavioral therapists, an EMT, and people who’ve experienced seizures. The most important research involved talking with parents of children (age 3-17) with autism. These conversations were intensely personal, raw, honest, and generous. I can’t thank these parents enough for what they shared with me. I also spent a lot of time researching the island of Nantucket. This involved reading many books about the island, interviewing people who live there (natives, summer people, and wash-ashores), and hopping the high speed ferry from Cape Cod to Nantucket as many times as I could throughout the year. 3. Did you intend to make it a two-fold story (two characters whose lives intersect) or did that come organically? This was the intention from the beginning. I did this for two reasons. One, both for the child who has it and for the families who love and advocate for them, autism can be incredibly isolating. When I talked with parents and professionals who know autism, I repeatedly heard the same words – isolated, disconnected, solitary, alone. While isolation is a very real aspect of living with autism, and I certainly needed to portray this in the book, I wanted to show people connecting (lives intersecting) through autism. Second, much of the focus on autism, especially among people who aren’t all that familiar with it (like Beth at first), is on all the ways that autistic children are different from typical children. The focus is on what is strange or abnormal or even tragic. Again, that is there, but I also wanted to shed light on what is the same among all of us, whether you have autism or not. How do we connect as human beings with each other? Are we all capable of this? What happens when we can’t or won’t or give up on connecting? What happens when we find a way to truly understand and accept each other? 4. You have your degree in biopsychology and a PhD. in neuroscience. How has your education influenced your writing? Neuroscience continues to be the first and foremost influence on what I’m interested in writing about. I’m definitely still a nerdy girl who loves learning about how the brain works. I love that I get to weave this passion for neuroscience into the stories I tell as a novelist. I get to ask the questions I care about most, questions about the brain and the bigger questions about life and then try to answer them as best I can through stories. I’m a lucky, nerdy girl! 5. What part of the writing/publishing process do you find the most challenging, the researching, the actual writing, the editing, the public speaking at conferences and on book tours? I honestly love all of those aspects of being a writer, even (and especially) the challenges. I think the most challenging part is when I have to do all of these at once! For example, many times in the past year while traveling on book tour for Left Neglected or on speaking tour for Still Alice, I would read a book about autism on the plane and then write some of Love Anthony in a Starbucks (Sydney, London, Montreal) before having to give a talk about Alzheimer’s or a book event about Left Neglected. So on any given day, I might be writing about Olivia and Anthony and autism but also talking about Alice and Alzheimer’s or Sarah and Left Neglect. 6. How was the experience of writing Love Anthony different from your two previous novels, Still Alice and Left Neglected? When I was writing Still Alice and Left Neglected, I always felt like I could lean on my neuroscience background when I needed it. I could go to the textbooks and the medical community for scientific information about Alzheimer’s or Neglect and traumatic brain injury, and, as a fledgling writer, I found this comforting. With Love Anthony, I was very much aware that I was writing without this safety net. There is no neuroscience textbook on autism. And the structure of this story is far more complex than my previous two books. With Still Alice and Left Neglected, I was a neuroscientist writing a novel. With Love Anthony, I became a novelist. 7. Can you read other writers while you are working on a book, or do you take a sort of ‘media-blackout’ approach? I’m always reading, typically two or three books at once. While writing Love Anthony, I was always reading a book about autism—The Siege, Born on Blue Day, Making Peace with Autism, A Regular Guy, The Way I See It, Son-Rise, Thinking Person’s Guide to Autism. But I was also usually reading a novel or a memoir unrelated to autism. Right now I’m reading Mapping Fate, One Hundred Years of Solitude, and Maine. 8. With Still Alice, you raised awareness to the insidious disease of Alzheimer’s, and in Left Neglected, you shed light on traumatic brain injuries. Is it your hope that Love Anthony can do the same for autism? Absolutely. Scientifically and clinically speaking, we’re only beginning to understand what autism is. Most physicians were taught essentially nothing about it when they were in medical school. So in 2012, we’re in the infancy of elucidating the neuroscience of autism. Yet 1 in 88 children are on the spectrum. And each one of those children has a mother, a father, grandparents, siblings, cousins, neighbors, teachers, student peers, friends—people who are touched by autism, connected to it, and need some better understanding of what it is. I hope that Love Anthony can contribute to an increased awareness and a much-needed, better understanding of autism. My next novel is about a genetic, neurodegenerative disease and fate. Acclaimed as the Oliver Sacks of fiction and the Michael Crichton of brain science, Lisa Genova is the New York Times bestselling author of Still Alice, Left Neglected, Love Anthony, and Inside the O’Briens. Still Alice was adapted into an Oscar-winning film starring Julianne Moore, Alec Baldwin, and Kristen Stewart. 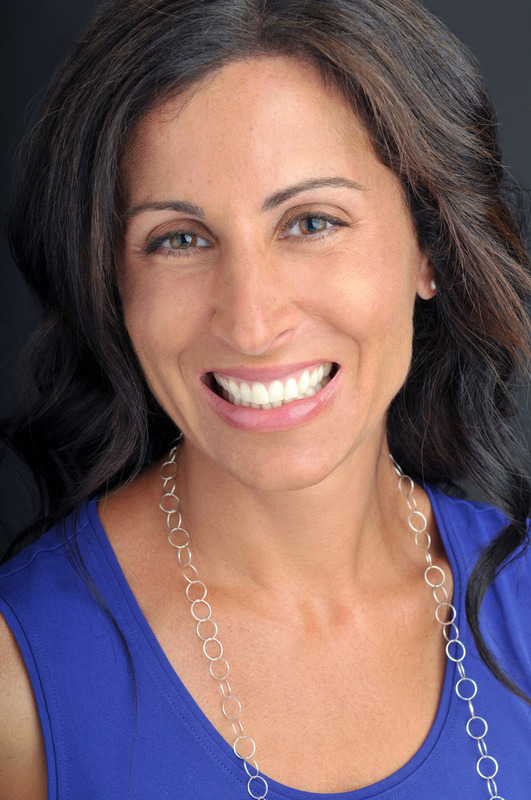 Lisa graduated valedictorian from Bates College with a degree in biopsychology and holds a PhD in neuroscience from Harvard University. She travels worldwide speaking about the neurological diseases she writes about and has appeared on The Dr. Oz Show, Today, PBS NewsHour, CNN, and NPR. Her TED talk, What You Can Do To Prevent Alzheimer's, has been viewed over 2 million times. "There’s a point in the narrative where one of the characters becomes so engrossed in reading a book that she loses track of time. Readers of Genova’s latest excellent offering might very well find the same happening to them." "Lisa Genova's novels ring true. Love Anthony, like Genova's two previous novels, is beautifully written, and poignant to the point of heartbreak...Anyone who has had even a passing contact with an autistic child will relate. Writing with deep empathy and insight, Genova has created an engaging story that fearlessly asks the big questions. "With every line of that last letter as written from Anthony, I wept harder ... My heart, my chest, my throat, my face, my eyes pulsated with something so painful, yet so beautiful and happy at the same time ... and if there is one thing every Mom with a child of Autism should know, it’s the perspective written within that letter." "It’s not just a good book about autism, it’s a good book that happens to have autism in it." "In Love Anthony, Olivia is dealing with the death of her autistic young son, Anthony … Genova's writing is getting stronger with each book, in my opinion. I recommend all of her books. I cannot wait to read anything else she writes."